This chapter focuses on the role of user models and user modelling for enhanced, personalised user support within knowledge management systems (KMSs). Personalisation can bring a utility function as well as a conviviality function with “high touch” impact for the users. From this utility and conviviality perspective, various personalised services enable KMSs to adapt their functionality, structure, and content to match the needs and preferences of users based on a user model that is stored and updated dynamically. 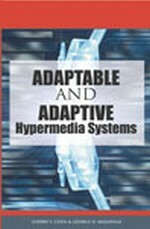 The chapter presents a set of examples, different types of adaptations and personalised services specific to KMSs.